A magical snorkel that prevents water intrusion. 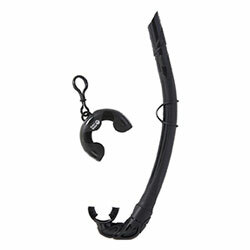 The upper section of this sports dry snorkel includes a float that rises when the snorkel is submerged or splashed by a wave, sealing off the top of the snorkel to prevent water intrusion. 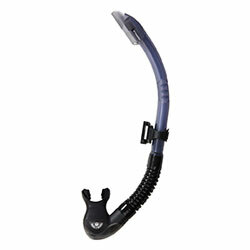 Once the top of the snorkel emerges above the surface of the water, the dry-top component returns naturally to its original state and allows you to immediately resume breathing.